I have some serious neck injuries due to a car accident several years ago. I had two of the discs in my spine replaced. As a result, I have a lot of neck pain. I also have cramps, spasms and a hard time sleeping if my neck is not properly supported. 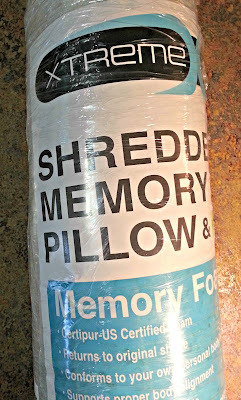 Needless to say, the type of pillow I use is very important to me. I first started using memory foam and bamboo pillows a little over a year ago. They have made a huge difference for me. However, not all of them are created equal. 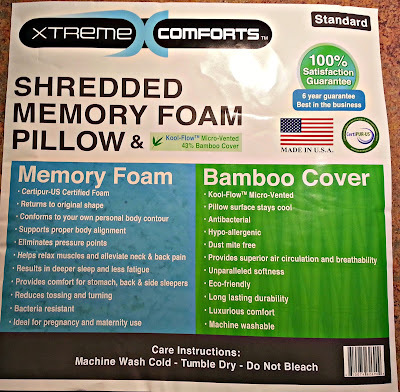 I was recently sent the Xtreme Comforts Shredded Memory Foam Pillow With Kool-Flow Micro-Vented Bamboo Cover in Standard size. 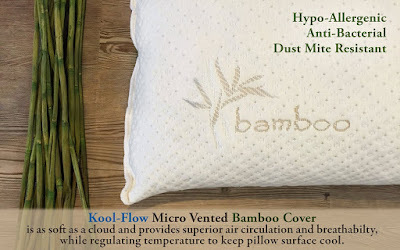 This particular pillow boasts to never flatten. I have only been testing it for a short period of time, so I can't state how true that is. However, it is still just as fluffy now as it was when I first started using it. The pillow is VERY comfortable. It is extremely thick and supportive and slightly firm. That is exactly what someone with neck injuries (like myself) needs. I have been sleeping like I have been injected with morphine (because, let's face it: the term "sleeping like a baby" is so wrong). I do wish I had received a queen size pillow instead of the standard. 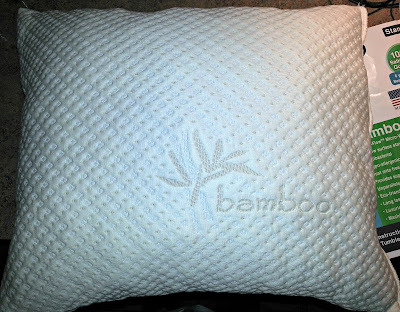 Since the Shredded Memory Foam makes these pillows so fluffy and thick, they don't seem as wide as normal pillows. Therefore, I definitely recommend buying a queen or king size. I also love that the entire thing is machine washable! 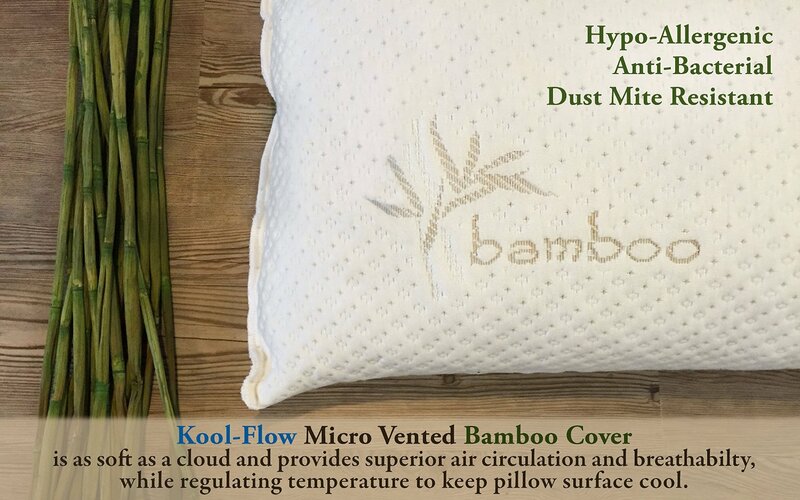 The bamboo cover does not unzip, but that isn't an issue since you can just wash the whole pillow. 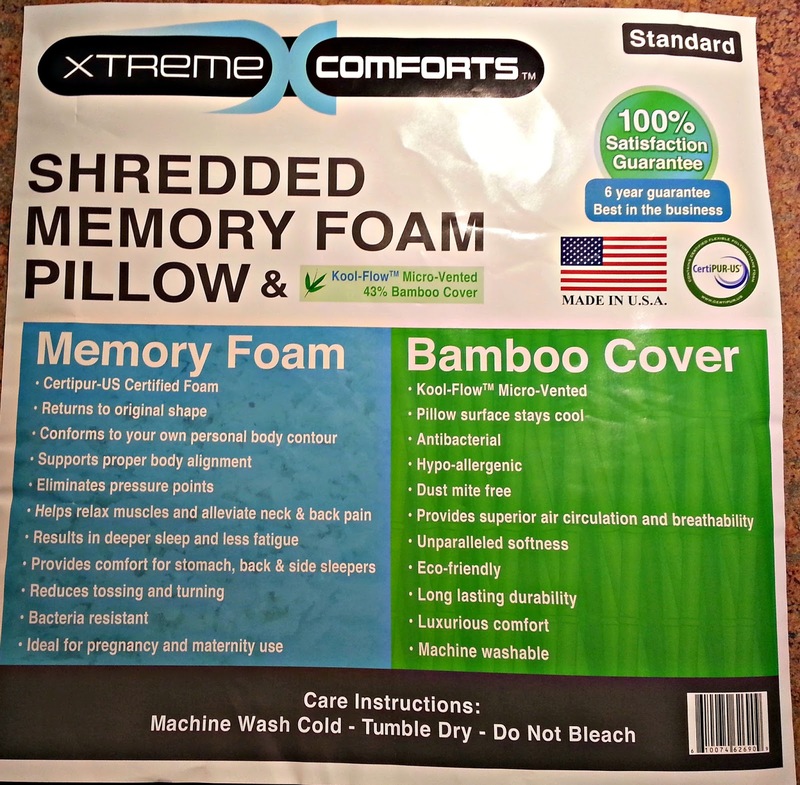 I really love this Shredded Memory Foam pillow by Xtreme Comforts and I highly recommend it for anyone who is looking for more neck support.